The music of Duke Ellington, Frank Sinatra, Louis Armstrong, Bing Crosby, Dizzy Gillespie and more in this celebration of 60 years of Newport. One of today's most gifted and sophisticated vocalists invokes the spirit of a voice that touched generations with a very personal take on the muse of Judy Garland. ‘One of the best jazz festivals in the world’ (The Guardian). The 2014 EFG London Jazz Festival takes place Friday 14 – Sunday 23 November 2014 and Cadogan Hall is thrilled to be hosting some of the concerts here. You can download the full brochure below on the left. And we want to see your #jazzface too. Take a picture of yourself listening to (or playing jazz) and send it to the jazz festival guys by email, Twitter, Facebook or Instagram. The best will win tickets for festival shows and be featured on their website. 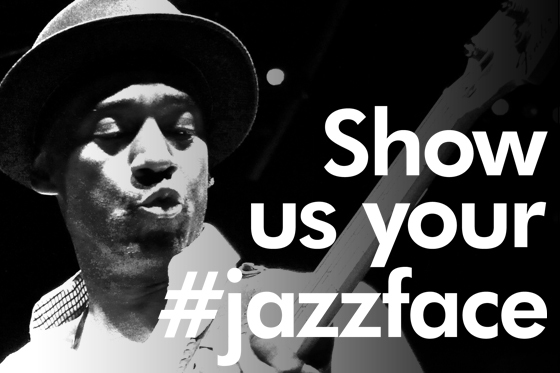 Go on, show us your #jazzface!